I, Naturalist .... You, Naturalist? They say natural history is dying. Support is in steep decline. There are fewer academic programs, staff are cut, museums and herbaria are shuttered. What a huge mistake! This is knowledge that's critical “for fields as varied as human health, food security, conservation, land management and recreation” as well as pleasure. But fortunately there’s a counter-trend and it’s huge too. 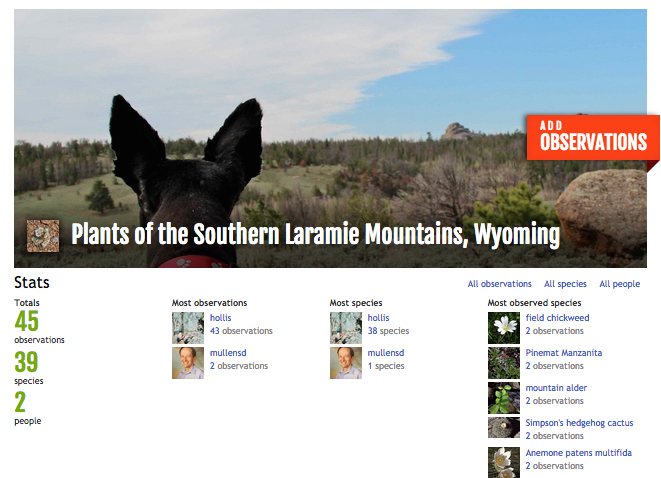 Just look online – natural history is experiencing a come-back! Given the times, it’s not surprising that the savior is digital. 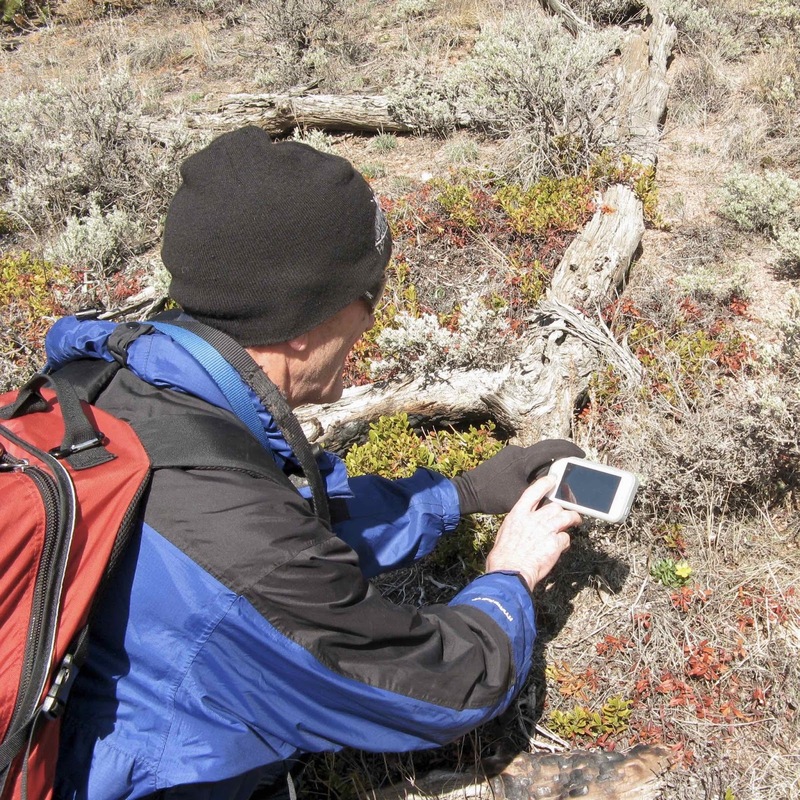 Citizen science isn’t digital per se. It's any “scientific research conducted, in whole or in part, by amateur or nonprofessional scientists”. 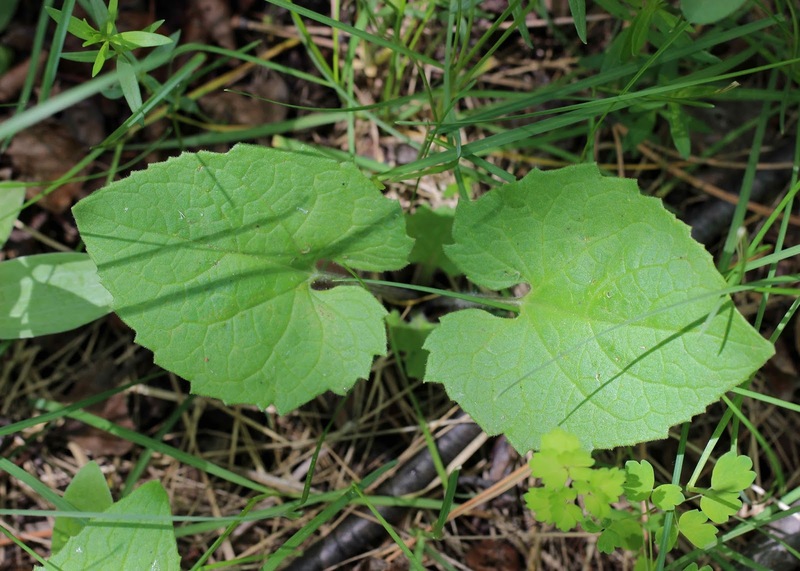 It could be the amateur botanist who regularly adds plant specimens to the regional herbarium. But the reasons why citizen science is so popular are digital: online resources make it a lot easier than it used to be; and it's social. Social media also are not digital per se. Long drives to visit friends, telephone calls, postal letters, email messages, blog posts, texts … being such social creatures we love them all. But these days social media are defined more narrowly: “computer-mediated tools that allow people to create, share or exchange information, ideas, and pictures/videos in virtual communities and networks” ... for example, iNaturalist. 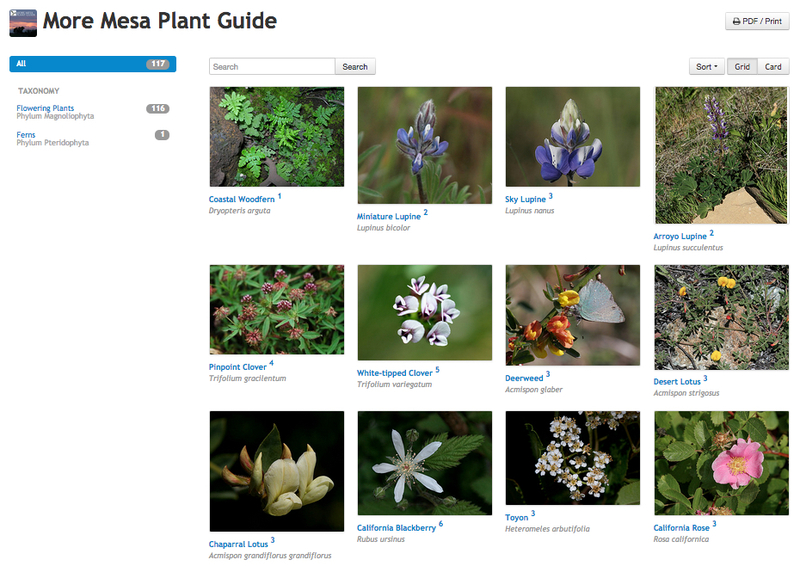 Twelve of the 117 plant species in the More Mesa Plant Guide (click on image to view). With enough observations and photos, I will be able to compile a guide to the plants of the area. This is the dream. Heartleaf arnica (Arnica cordifolia) may be a damn yellow composite, but the leaves make it easy to recognize. It's common in the Laramie Mountains. 1. Wind. 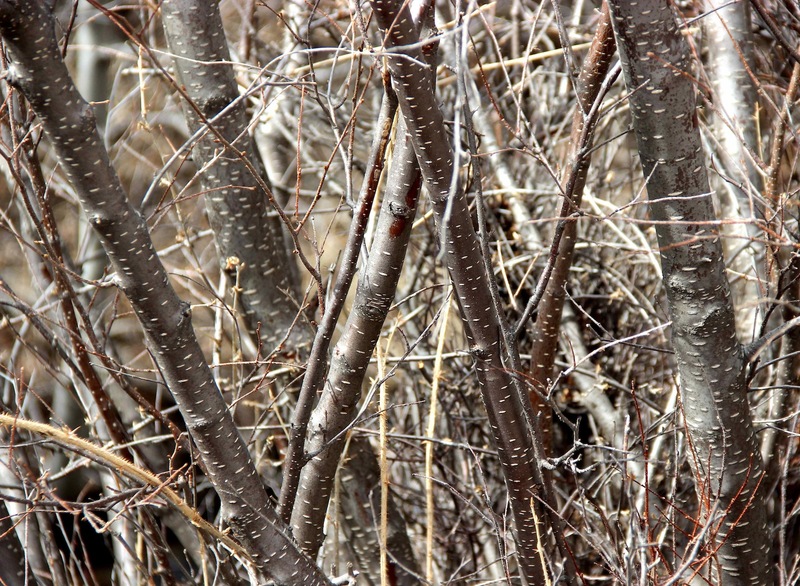 I need photos for a plant guide, but plants don’t stand still in wind, and it’s often windy in the Laramie Mountains. Maybe I should have done a rock project. 2. Time. I haven't hiked as much, with my camera, as I thought I would. 3. Other participants. This is the biggest obstacle by far. Only a few people have added observations. Maybe I'll launch some kind of advertising campaign when the project is farther along. I also need help with identification. I found river birch (Betula occidentalis) in Curt Gowdy State Park, in early spring. 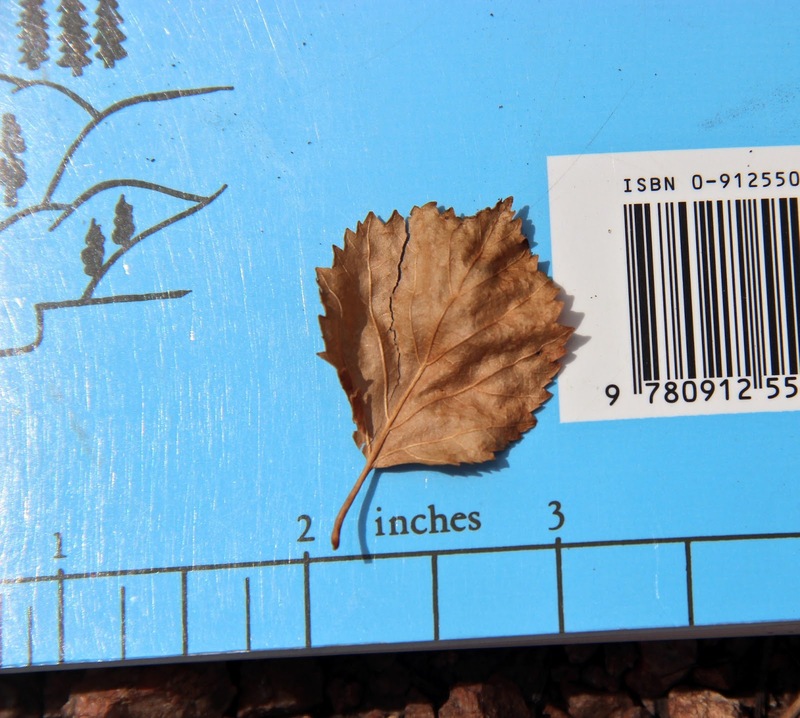 I may be an expert; I may take specimens and photos to the herbarium for verification. But until an iNaturalist user agrees with me, my identification remains Casual. 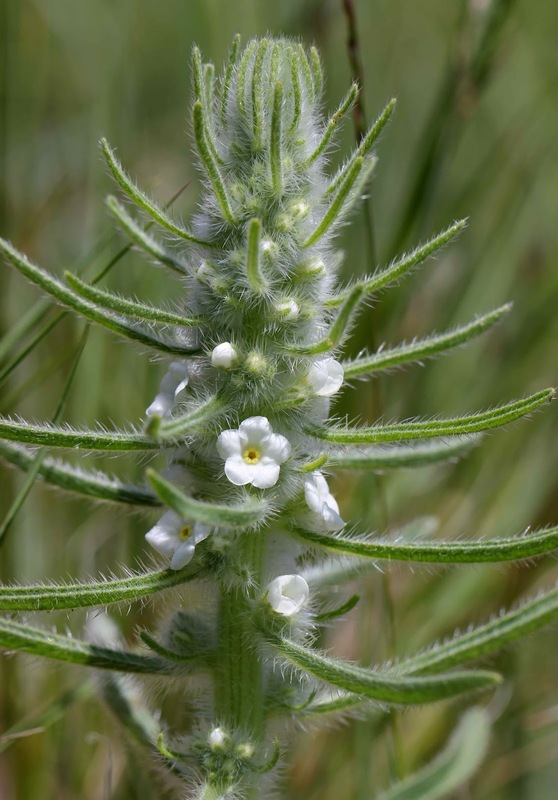 Thus unless one lives where there are lots of botany geeks (like the Santa Barbara area), a project advances slowly. Verifications are hard to come by. Observations trickle in. 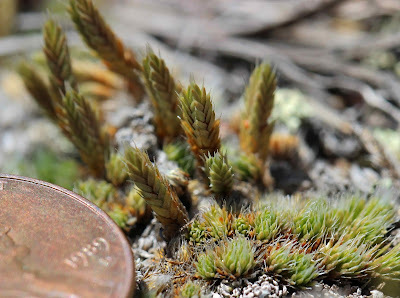 Rocky Mountain spikemoss (Selaginella densa). There’s a good reason for iNaturalist's quality control step. Identification to species is one of the biggest sources of error in citizen science (see Gardiner and colleagues 2012 for examples). “Small or cryptic organisms” are especially problematic, but there are plenty of bigger ones that are just as tricky. Birders have LBJs (little brown jobs), while we botanists deal with DYCs – the damn (or disgusting) yellow composites of the sunflower family. And they’re hardly the only challenging plants. 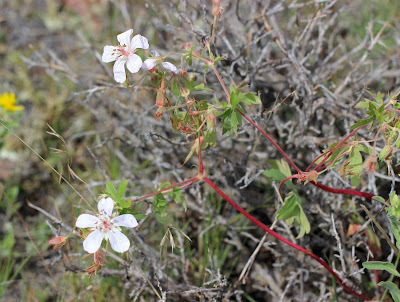 Yesterday I spent 30 minutes studying herbarium specimens of our local wild geraniums so I could put a name on my iNaturalist observation. Geranium id is easier than it used to be. 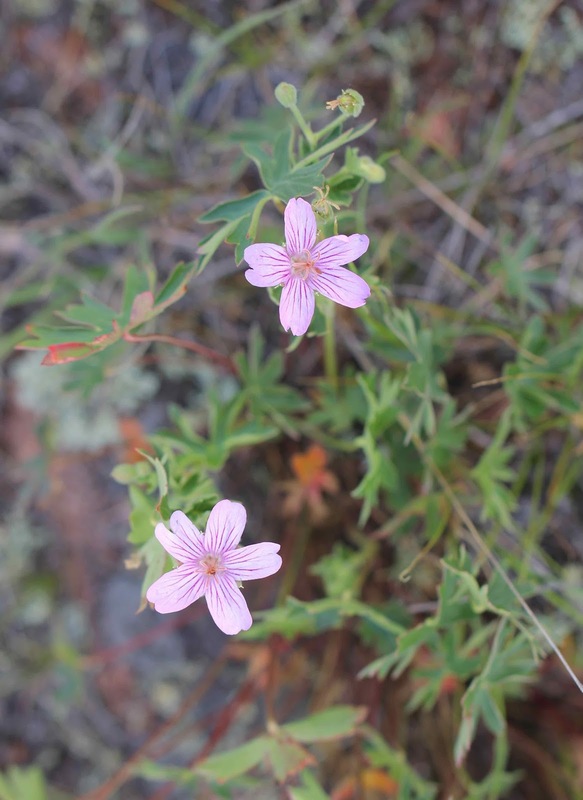 Multiple species were recently lumped together into Geranium caespitosum because they were so hard to tell apart. The two geraniums above and below were growing within two meters of each other in sagebrush grassland. This is Geranium caespitosum too. Citizen science provides two major benefits in my opinion. The obvious one is massive amounts of data, though we need to improve quality control. But what excites me most is how engaging it is. Many people are now active naturalists because of online resources, and because of the social aspect. 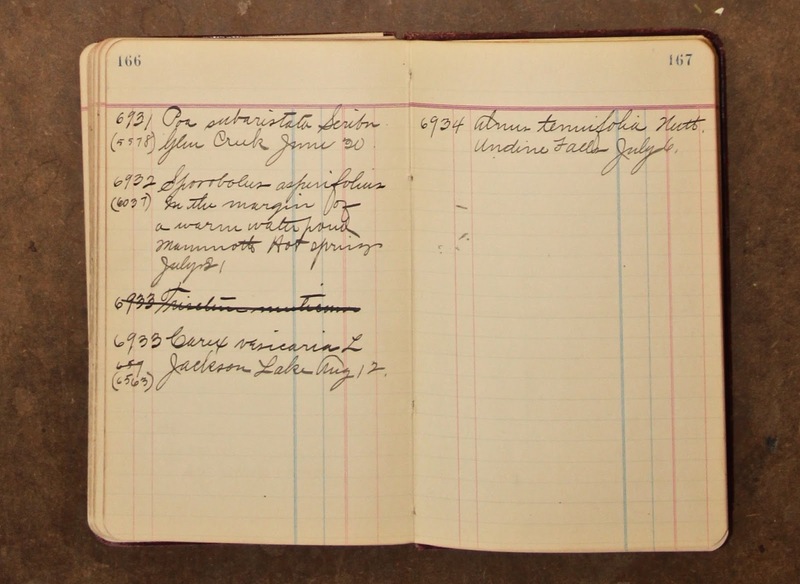 We collect, identify, and share – more than we ever could have dreamed of doing in the past. 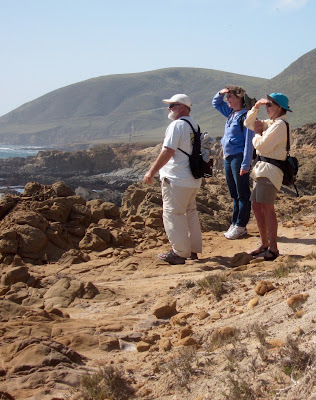 And in at least some cases, participation in citizen science has strengthened commitment to conservation, leading to further environmental action (Thelen and Thiet 2008). Even the experts do it! Source. There are apps for it, of course. Naturalists used to be a small group of adventurous eccentrics. Now lots of us can be nature geeks ... another example of democratization thanks to the internet. 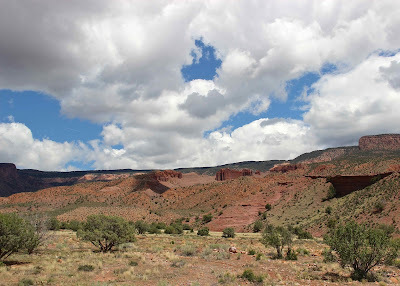 Are we reincarnations of the amazing naturalists of the 19th century American West? AHC. 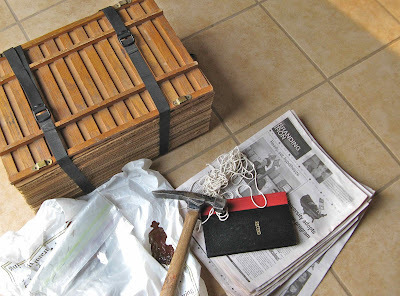 Have you done citizen science? What do you think? Gardiner, M. and colleagues. 2012. Lessons from lady beetles: accuracy of monitoring data from US and UK citizen- science programs. Front Ecol Environ 10: 471–476. Thelen, BA and Thiet, RK. 2008. 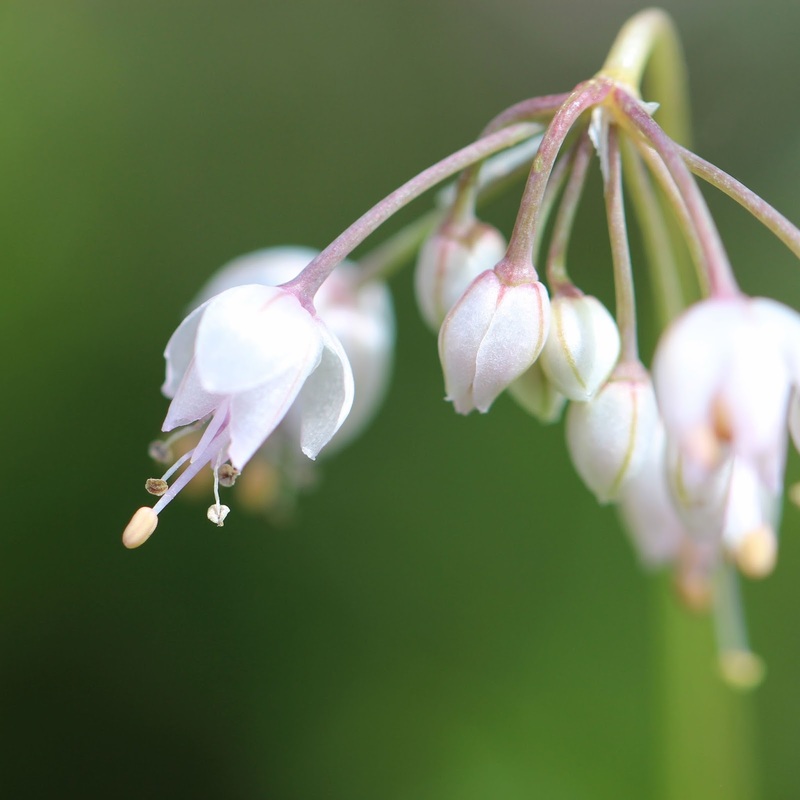 Cultivating connection: Incorporating meaningful citizen science into Cape Cod National Seashore’s estuarine research and monitoring programs. Park Science 25(1). 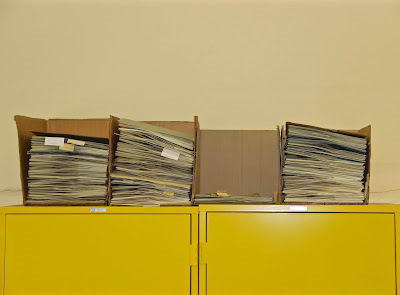 Plant specimens waiting to be shelved for posterity. 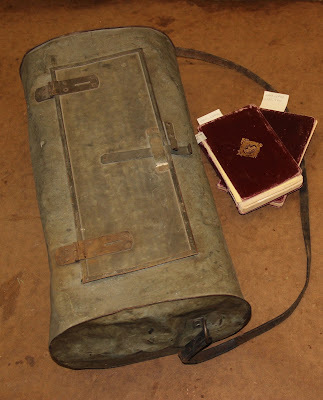 Aven Nelson's vasculum and field books. I planted both feet on a table in the prep room – yes, on top of it – so I could point the camera straight down on memorabilia of Aven Nelson, Father of Wyoming Botany. Nelson came to Laramie, Wyoming Territory, as one of five faculty hired for the brand new university in 1887. He was to teach English, but the Board of Trustees mistakenly hired two English professors; the better-qualified Mr. Smith got the job. 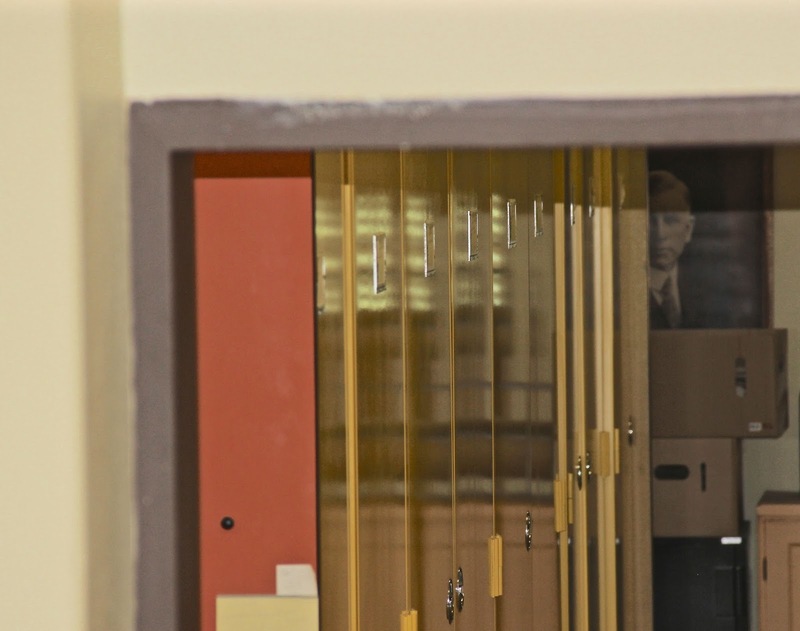 Nelson was asked to teach biology, botany, horticulture, agriculture and calisthenics, and to oversee the library. He accepted. After several years, his responsibilities narrowed to botany and horticulture, and finally just botany. Largely self-taught, he had a long and illustrious career. The Rocky Mountain Herbarium is generally considered to be his greatest contribution. 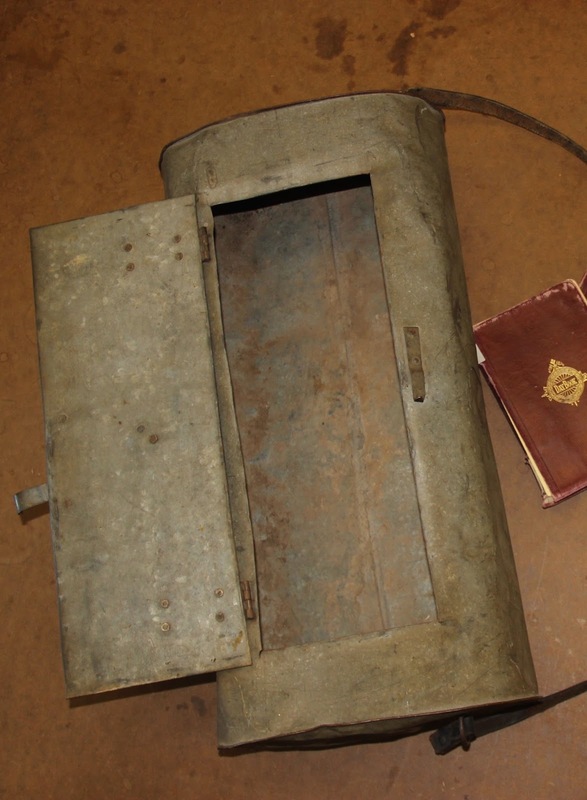 In the old days a botanist put collected plants in a vasculum while in the field. Now we mostly use plastic bags. 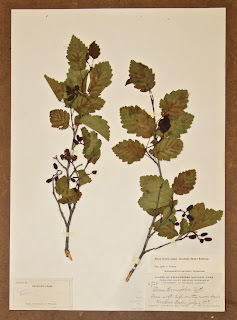 Some readers may ask “What’s an herbarium?” It’s a collection of preserved plants – specifically plants or plant parts that have been dug up or cut off, pressed, dried, and mounted on 11.5” x 16.5” archival paper, usually with water-based glue. In the old days, plants were attached with thin strips of tape, or even sewn to the sheet. 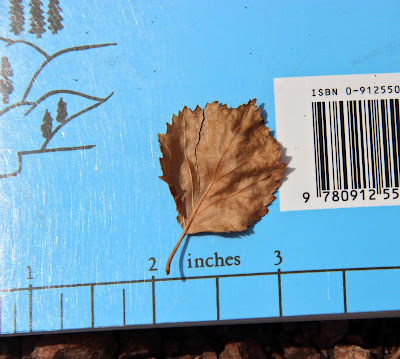 A label contains information about where the plant was collected, habitat, collector and date, and anything else noteworthy. People sometimes think there must be a protective cover, but not. 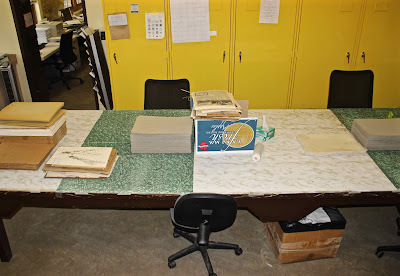 Yet when properly processed and stored, herbarium specimens last centuries. 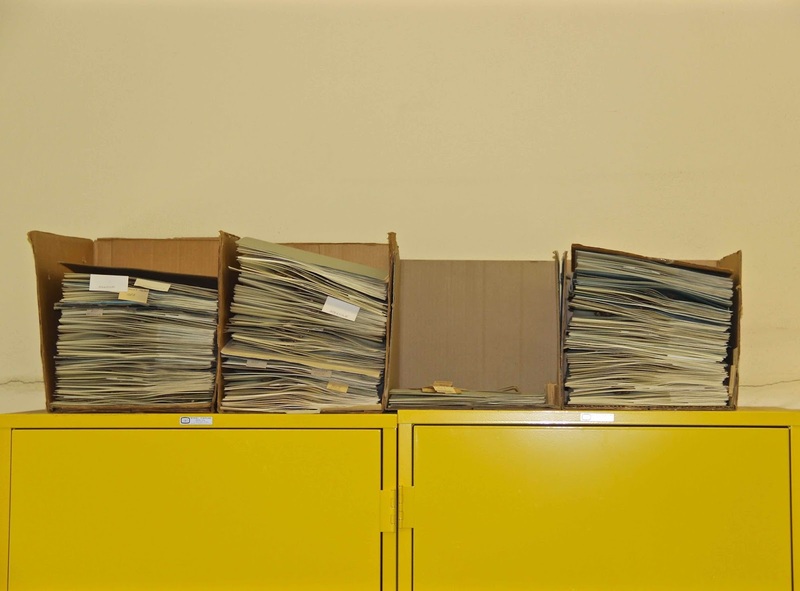 The sheets are stored in folders in air-tight cabinets – organized by family, genus, species, and subspecies and variety if applicable. 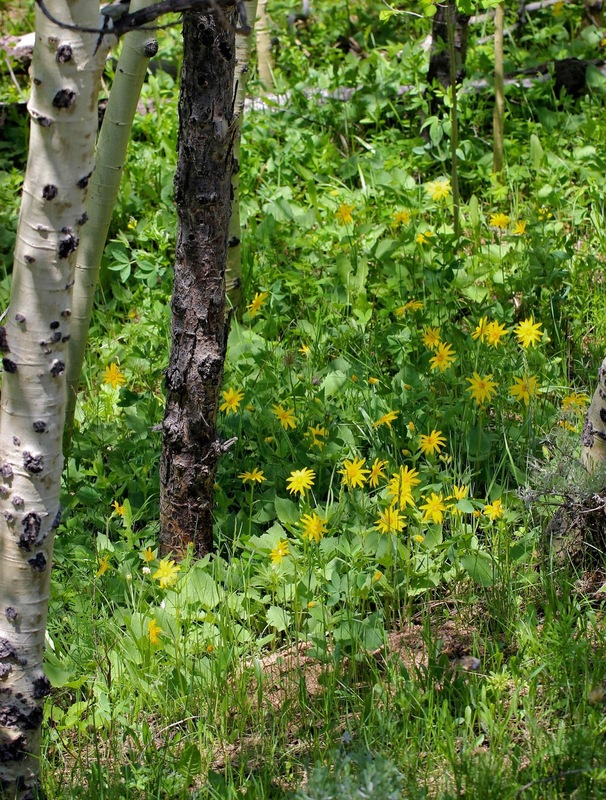 There are 825,000 mounted specimens in the Rocky Mountain Herbarium. Another 350,000 are still in newspapers, waiting to be processed. 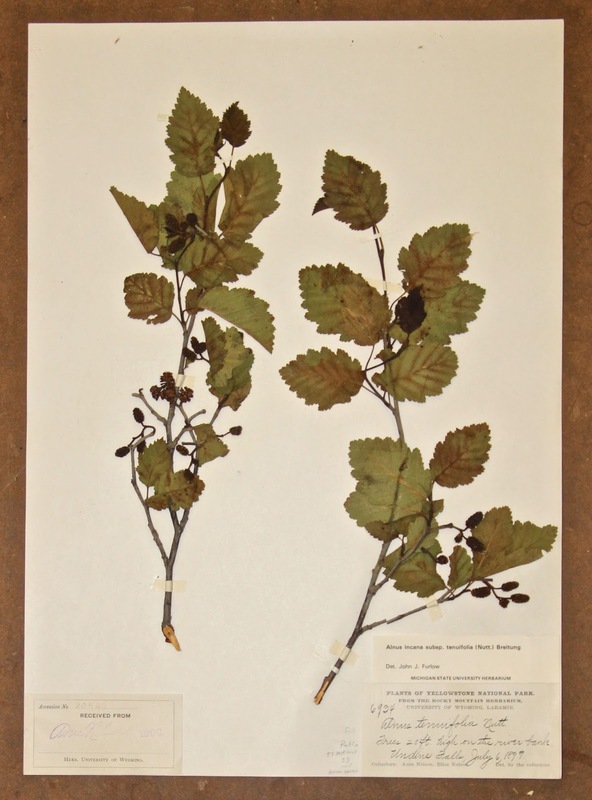 Gray alder collected by Aven Nelson and Elias Nelson (not related) in Yellowstone Park in 1899. Label from the gray alder specimen. Elias was Aven Nelson's first graduate student. Nelson's Yellowstone field book; gray alder entry is on the right. This being summer, Wyoming field botanists are at work right now processing the day’s harvest (it’s 8 PM as I write). Plant specimens are removed from plastic field bags, cleaned of dirt, and placed between sheets of newspaper – carefully arranged to show everything a future researcher might want to examine. 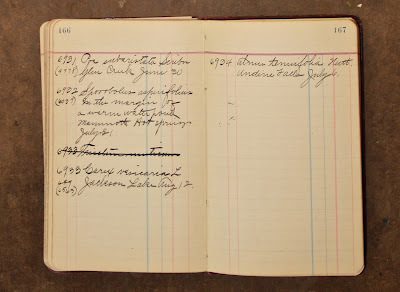 Collection data are recorded in a field book or digital device. The specimen is added to a growing stack, alternating with corrugated cardboard. This continues until all plants are in the press, then it's bound tightly with cord or straps, and set somewhere to dry. Botanists in base camps with electricity can use a plant drier, where the heat of 100 watt light bulbs circulates through the cardboard, drying plants in several days or less. 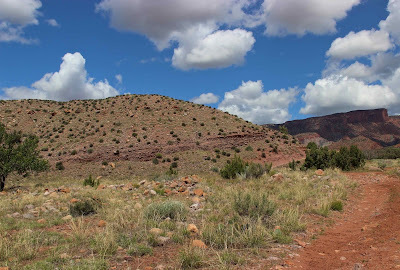 The more transient may use the dashboard of their field vehicle parked into the sun, or tie the press to the vehicle roof if the weather is hot. 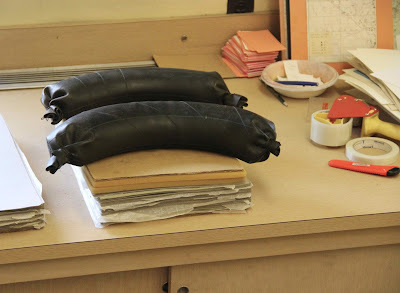 Tools of the trade (I didn't take this photo from the prep room table). 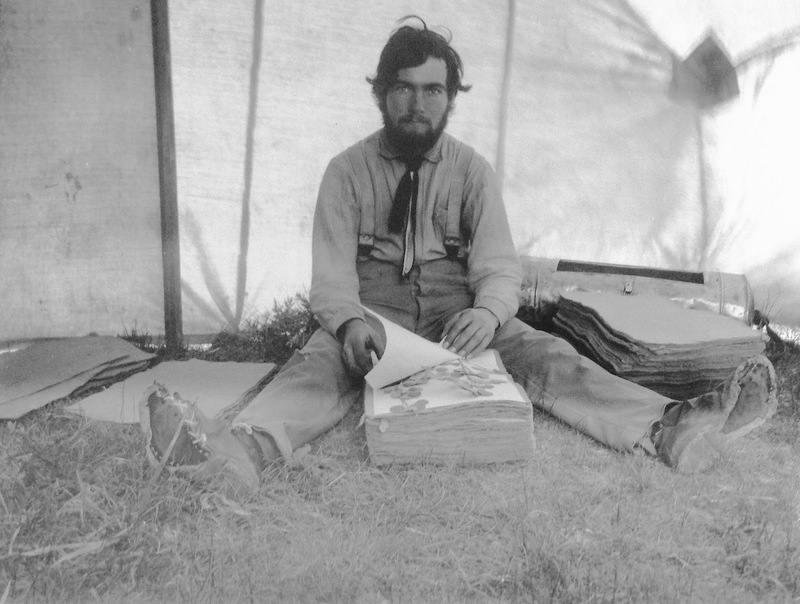 Leslie Goodding, Aven Nelson's 19-year old student assistant, pressing plants in Yellowstone Park in 1899. It must be the end of the field season judging by his shoes (click on image to view). Large batches of dried plants periodically arrive at the Rocky Mountain Herbarium to be added to the collection. First they’re put in a deep freeze to kill any pests, then they’re added to the backlog of specimens waiting to be mounted. 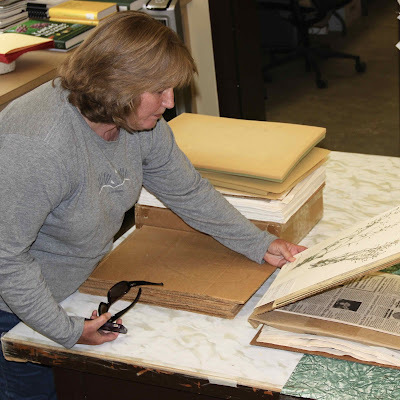 When it’s their turn, collection data are entered into a database, and herbarium labels are printed. 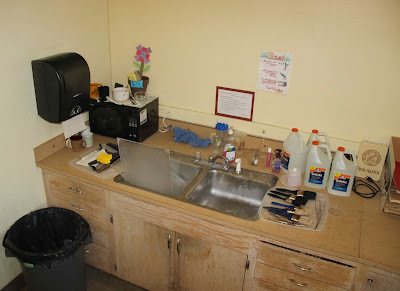 Everything then goes to the prep room – where my feet were stuck. It’s here that dried pressed plants and their labels are glued to sheets of paper. Newly-mounted plants are stacked with wax paper and felt sheets between specimens, and left to dry overnight. Sand-filled sections of inner tubes are used as weights. Though my feet were stuck, I could twist around far enough to see the clean-up area. Why do we do this? 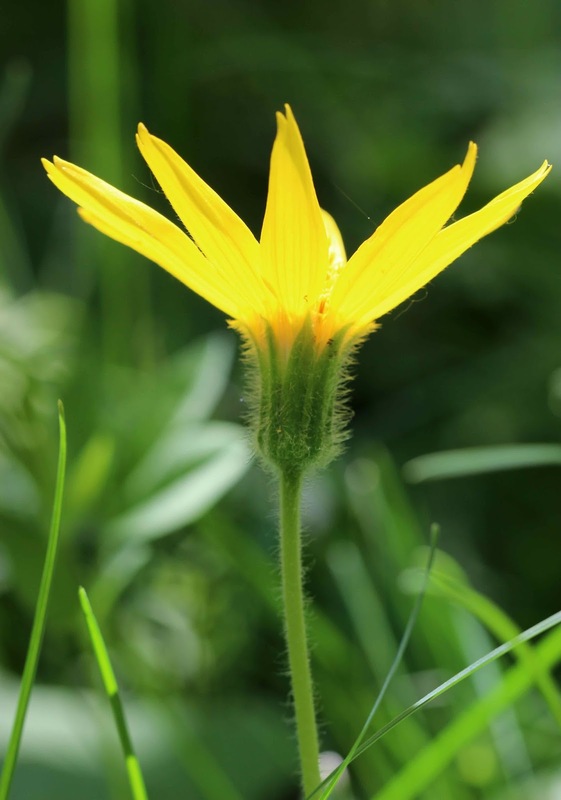 … because we can’t just say that a particular plant species grows in particular place, even if we are “experts.” If we document our report with a specimen – deposited in a reputable accessible repository – all kinds of potential problems are avoided. Everyone makes identification errors, even experts. Plant names may revised with additional study – and our specimen can be used for such studies. And on and on, as Vicky Funk of the US National Herbarium convincingly explains in 100 Uses for an Herbarium (Well at Least 72). 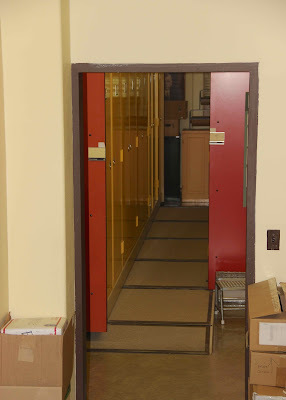 To my right I had a view of herbarium cabinets (above). 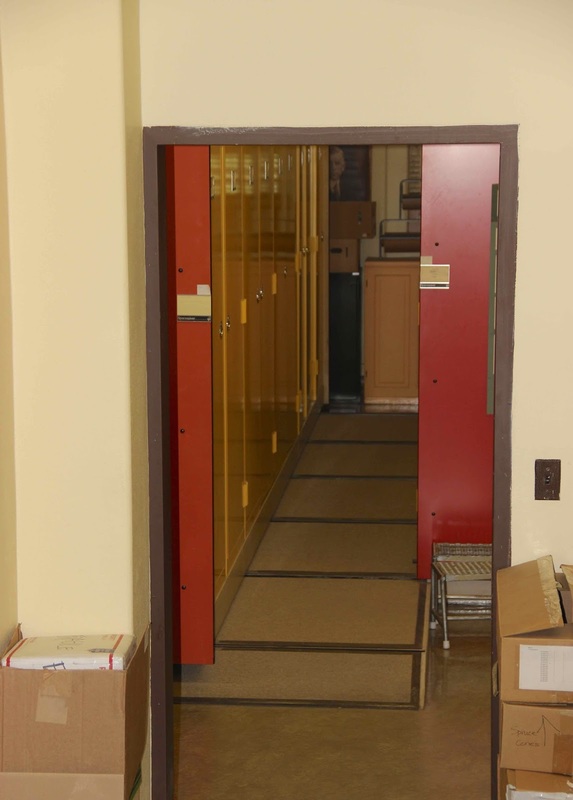 At the Rocky Mountain Herbarium, cabinets are on tracks that can be shifted to open up aisles, a system called … but wait! Who is that man at the very end of the row, staring at me?! 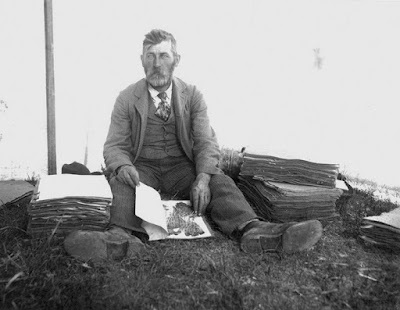 It was Aven Nelson, Father of Wyoming Botany, watching over his herbarium. While I was staring back at Dr. Nelson, another botanist showed up. Laurie asked why I was standing on the table. When I explained, she chuckled and kindly posed for a photo. Three years ago, I walked up a desert wash in Utah that was littered with beautiful multicolored stones – hard igneous and metamorphic rocks worn smooth. 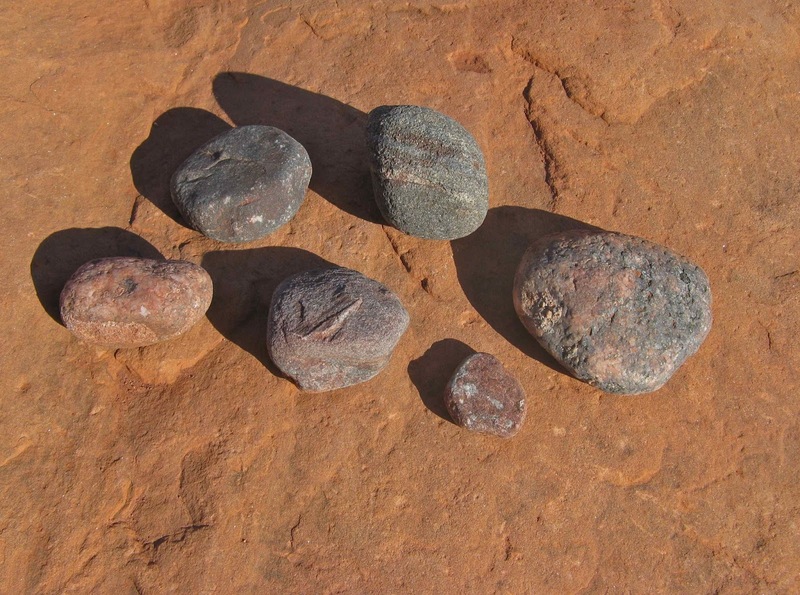 They seemed out-of-place in a land of soft red sandstone, and in a sense they were. For their birthplace had disappeared long ago – a mountain range now gone. Their enchanting ghost-like presence was irresistible. Those stones have been in the back of my mind ever since. I’ve wanted to visit their vanished source, the ghostly range. Last May I finally did. It was gone of course, but I stood on the remains of its slopes, and marveled at how we can conjure up the distant past from battered stones. Standing on an ancient alluvial fan. The hard smooth stones I found in the wash and the surrounding soft red rocks all belong to the Cutler Formation. Pinnacles, balanced rocks, sculpted ridges, and the like are often called “rock formations,” but geologists use the term more formally. 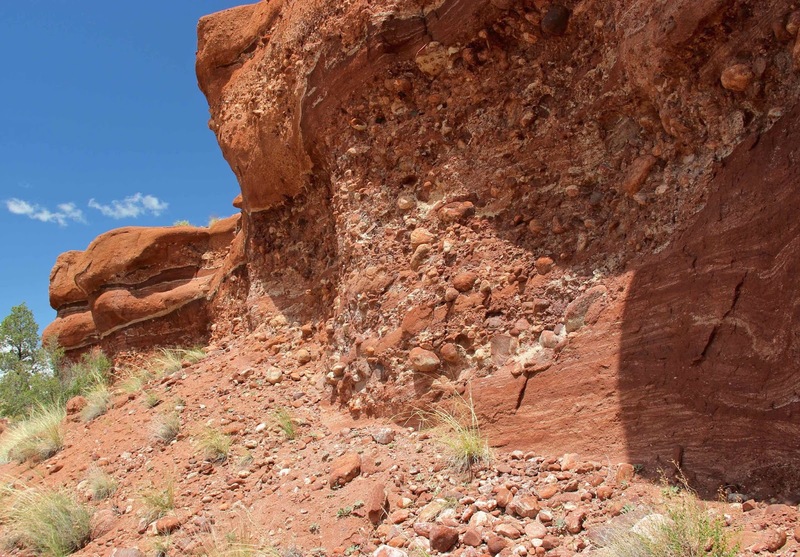 Rocks of the Cutler Formation are sedimentary – made of debris deposited roughly 300 million years ago, during the early Permian Period. When I traveled from the southeastern corner of Utah to western Colorado last spring, I watched the Cutler change – from mudstones to sandstones to conglomerates. This diversity is revealing. It’s how we discern a mountain range that’s been gone for at least 150 million years. 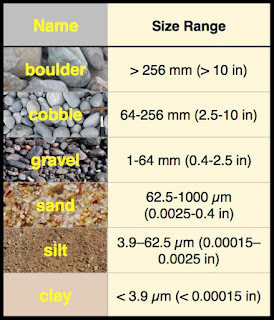 Classification of grains by size (source of values). Measuring and classifying grains is tedious but informative. 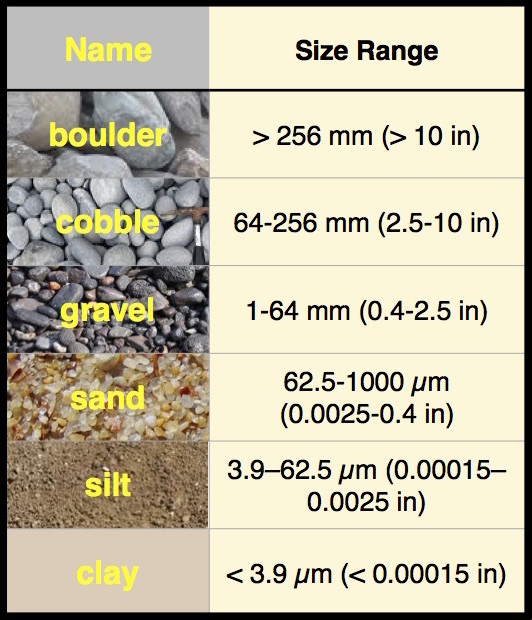 Grain size speaks to the environment of deposition and the proximity of the source. 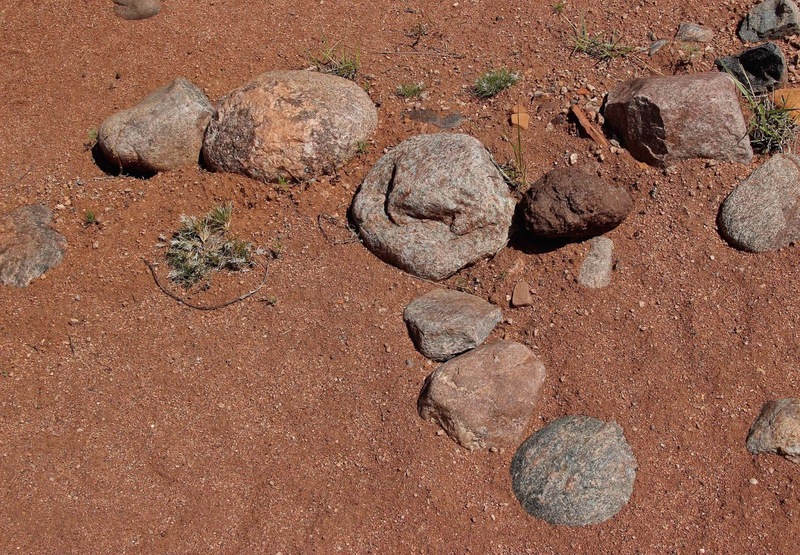 Even the laziest stream can carry fine sediments, often far from their origins. Larger grains need more energetic transport – faster streams on steeper gradients. The largest – boulders – are carried only by raging torrents, and dropped close to the source. Click on image for larger view (unlabeled diagram from Fillmore 2011). In the southeastern corner of Utah, Cutler rocks include a lot of mudstone – fine sediment carried all the way to what was then the coast of North America. 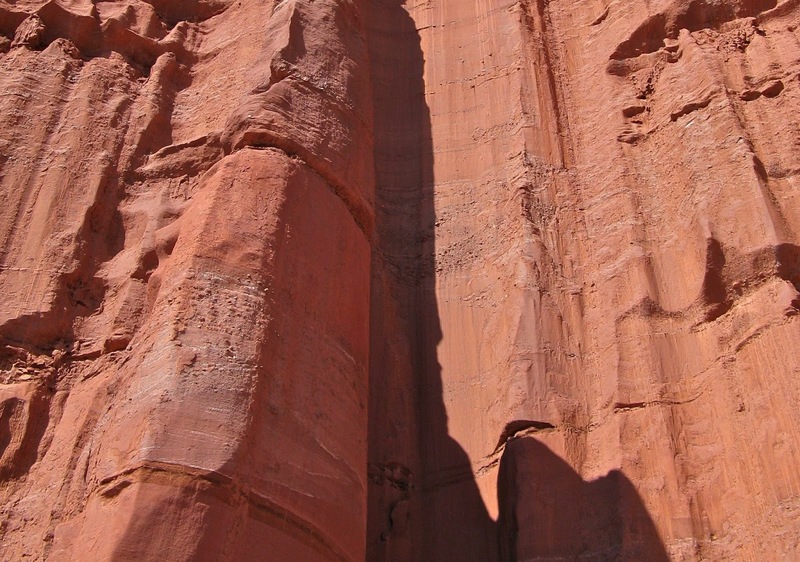 Wind-blown sand formed dunes, now sandstone. Sometimes the sea advanced, adding limey mud which became thin beds of limestone. 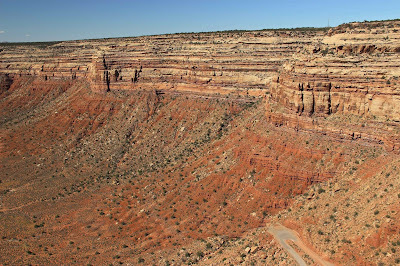 Cutler slopes below cliffs of Cedar Mesa sandstone, viewed from the Moki Dugway. 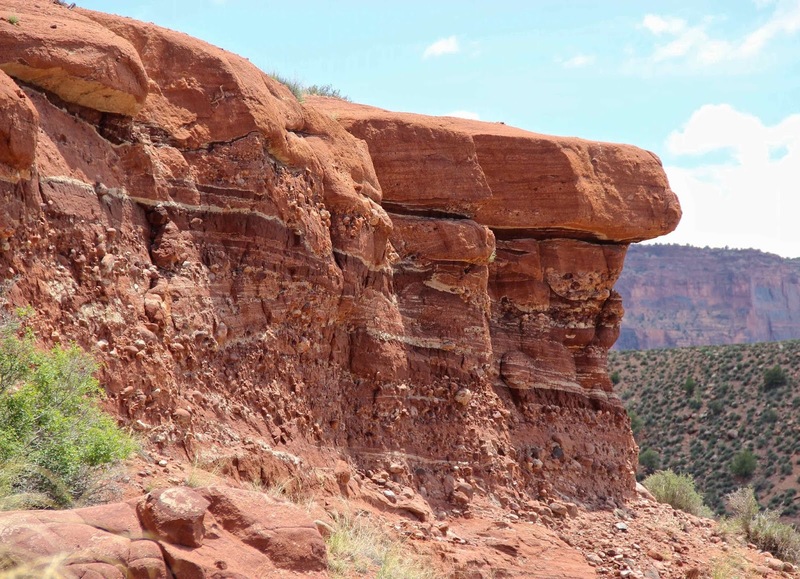 Cutler outcrops capped with Cedar Mesa sandstone in the Valley of the Gods. 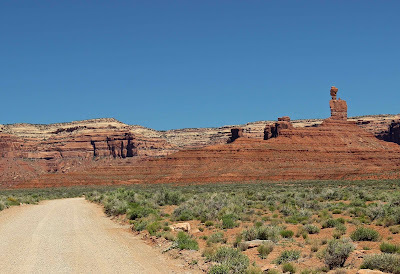 About a hundred miles to the northeast, in Fisher Valley near Moab, the Cutler Formation is noticeably coarser – mostly sandstone with beds of gravel and cobbles. Cross-bedding is common, both eolian (wind) and fluvial (streams). 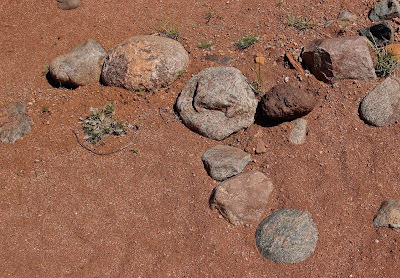 It’s thought that braided networks of streams crossed this area, sometimes passing through isolated dune fields. 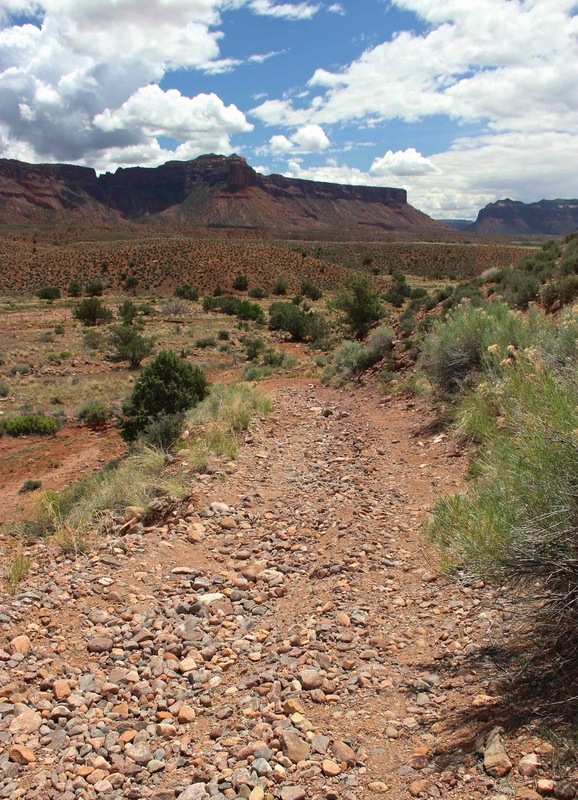 Braided drainages mean the gradient had dropped significantly and streams lost energy. 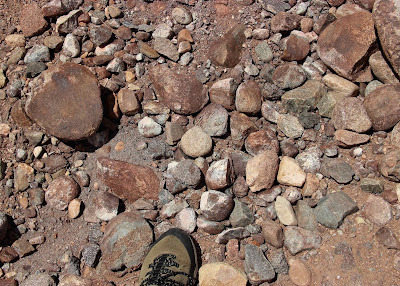 This happens today below mountain slopes – below their alluvial fans (Fillmore 2011; see diagram above). 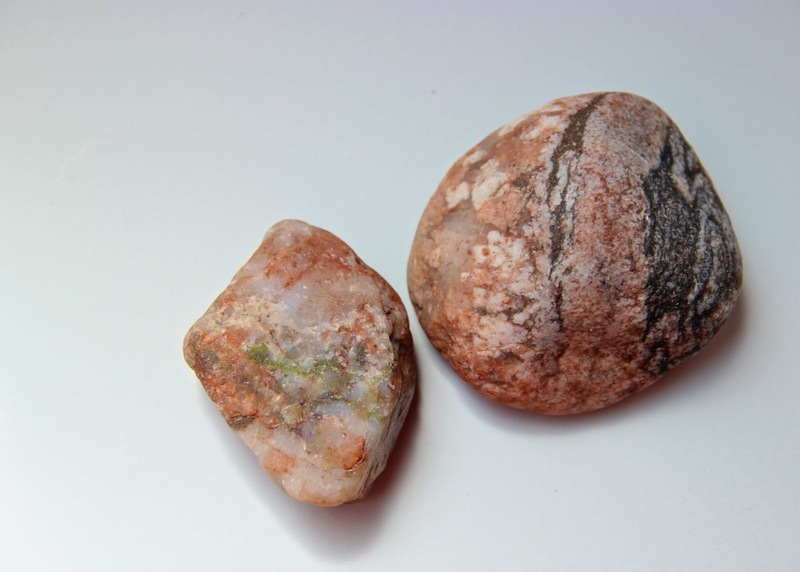 Fisher Valley is where I found beautiful stones in a wash three years ago. 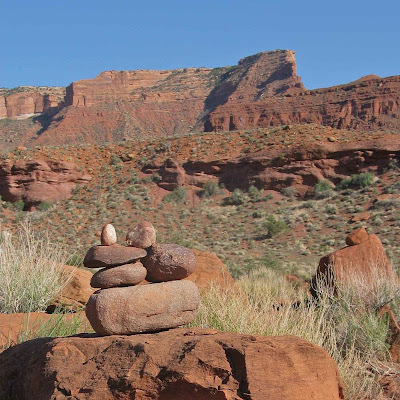 One of the Fisher Towers, with fluvial (stream-deposited) sandstone and layers of gravel (click on image to view). 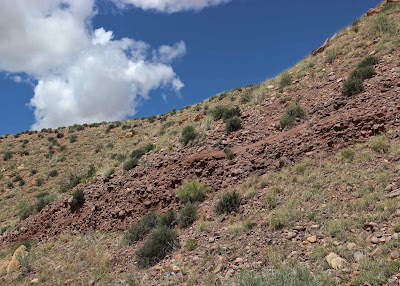 Last May I went to Gateway, Colorado – 15 miles northeast of Fisher Valley – to see “the only exposures of the very coarse, most proximal [closest to source] Cutler Formation” (Fillmore 2011, italics added). 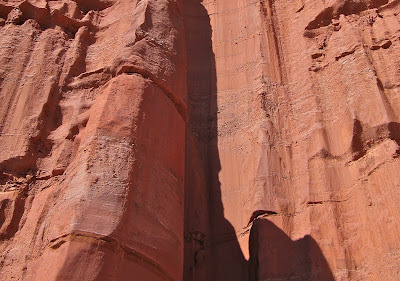 It took only a bit of searching to find some, below the Palisade. Here was the Cutler very near its ghostly source! Lower red slopes are the Cutler Formation; northwest of Gateway, east of Dolores River. 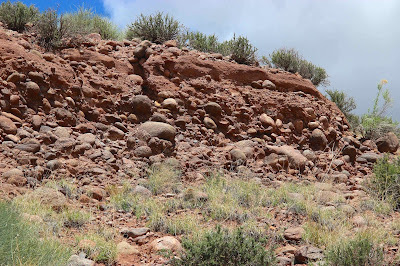 Next photos are from the outcrop on the bottom half of this slope. This is only 15 miles from Fisher Valley, but the sediments are much coarser. Cobbles and boulders carried by energetic streams; the source wasn’t far away. A Cutler road is a rocky road! 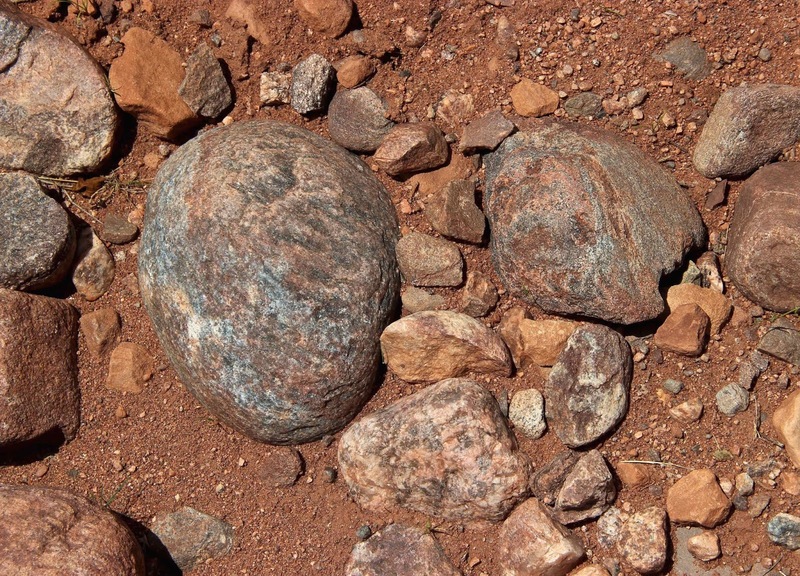 Conglomerates alternated with sandstones and mudstones. These deposits have been attributed to swollen mountain streams that overflowed their channels, dropping rocks and mud on alluvial fans (Fillmore 2011). The stones were as beautiful as the ones I found in the wash in Fisher Valley three years ago – polished multicolored igneous and metamorphic rocks. 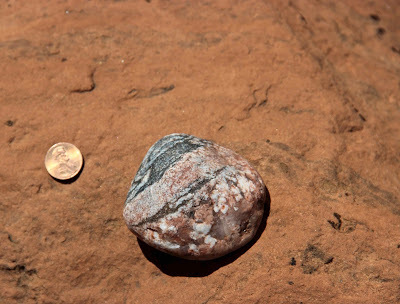 Conglomerates are sedimentary rocks even if the clasts (fragments) are igneous and metamorphic. 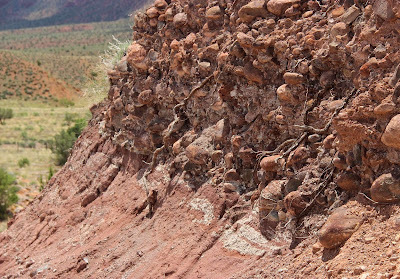 I found another photogenic Cutler outcrop, with everything from boulders to mudstone. 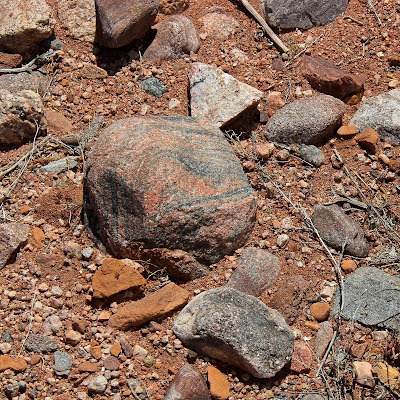 Cross-bedding was obvious. Looking at these "battered relics" it was easy to imagine engorged streams rushing down mountain slopes, dropping debris as they slowed. 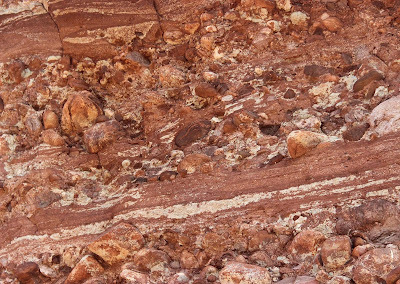 Are the thin white layers caliche? During the early Permian, southeastern Utah and western Colorado were dominated by Uncompahgria (illustration based on interpretations from Fillmore 2011). The fine-to-coarse progression of Cutler sediments, from southeastern Utah to western Colorado, points clearly to the source. 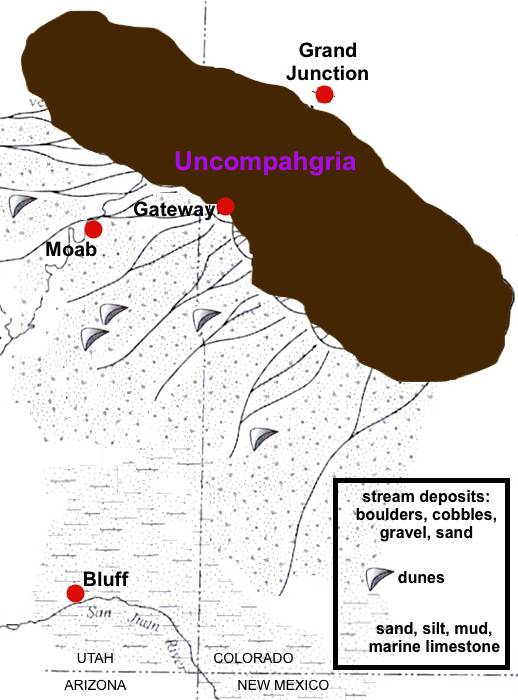 It was mighty Uncompahgria – one of the ranges of the Ancestral Rocky Mountains. 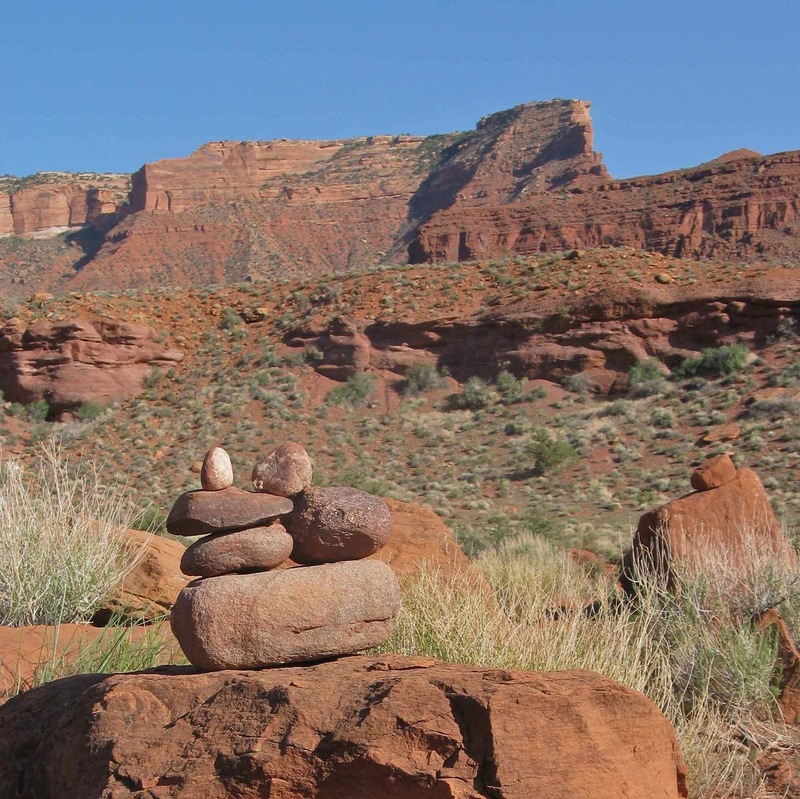 We often think of mountains as massive, abiding and immutable, but they too have lifetimes. 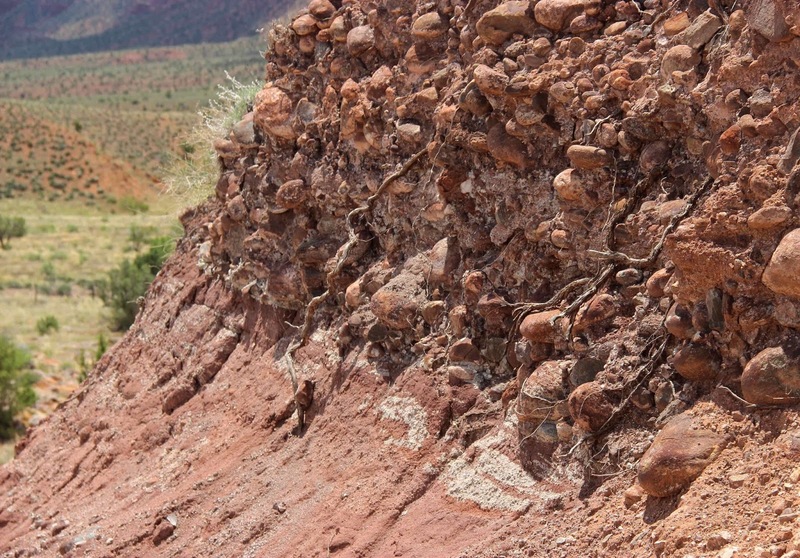 Uplift of Uncompahgria began about 300 million years ago, and for a time it stood high. But after a hundred million years, erosion had reduced it to a low rolling landscape. Fifty million years later, it was gone. 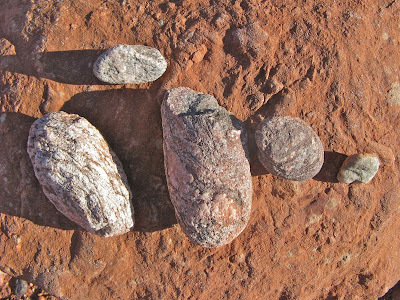 After a 250-million-year layover on the slopes of Uncompahgria, these stones are again on the move, headed down a wash.
1 The quote at the top of the post comes from a letter from astronomer John Herschel to geologist Charles Lyell, an important early proponent of Uniformitarianism (Cannon 1961). See Suvrat Kher's recent post at Rapid Uplift. Cannon, EF. 1961. The impact of uniformitarianism: two letters from John Herschel to Charles Lyell, 1836-1837. Proc Am Phil Soc 105:301-314. Ege, C. 2004. 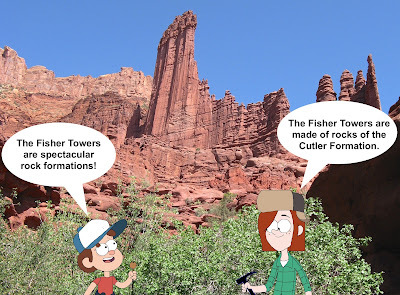 GEOSIGHTS: Fisher Towers – the towering red rock sculptures of Grand County, Utah. 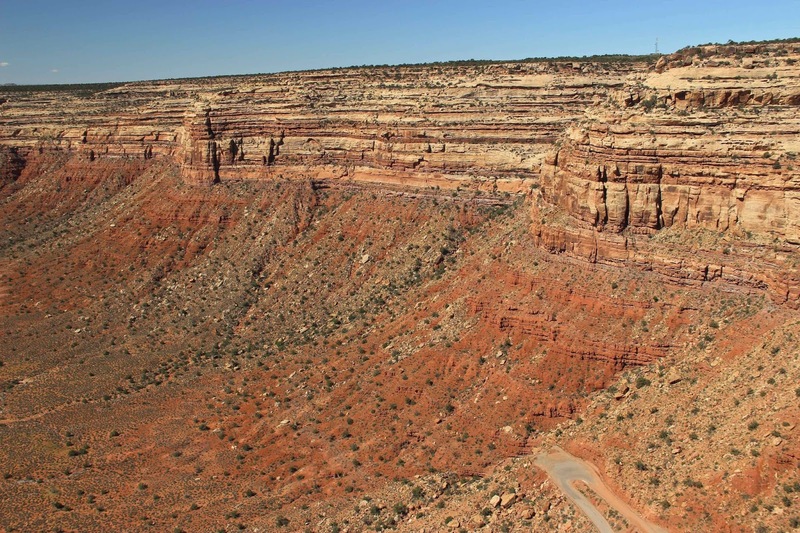 Utah Geological Survey.